When my partner and I started looking for a house to buy we knew we wanted a decent sized kitchen. We have private rented two houses and both kitchens have been a pretty good size. The house we have bought and living at now the kitchen is smaller than the two previous houses but we are hoping that we can plan to extend the kitchen and dinning room to be one big kitchen diner. My dream colour theme for the kitchen would be black and white gloss. 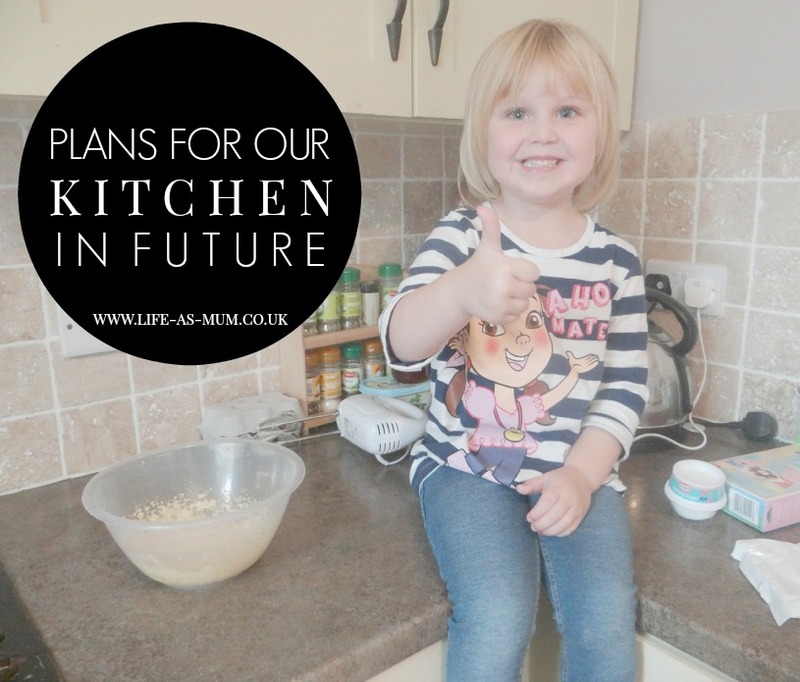 Ideally we need to replace most of the items we have in the kitchen. They are all either very mix-matched or very old. My partner has always wanted a combination microwave oven. We are yet to buy one but our microwave is starting to end, not surprised since it is over 10+ years old! The kitchen in our previous private rented house also had a place we could keep our washing machine and tumble dryer out of the way. I would like to have an utility room somewhere in the kitchen in future. In the kitchen I love to have family time on the dining table and baking cakes and sweets with the kids. Although our kitchen at the minute looks a decent size, it can get over crowded if we are all in here at once. I think if we knock two walls down and extend it to the same length as the dining room it will be big enough and won't feel as crowded. Have you re-done your kitchen recently or thinking of doing it in future? If you are interested in working with me, check out my work with me page. Oh you are so lucky to be planning on redoing your kitchen. That is something I really want and need to do but this isn't the right time for me.